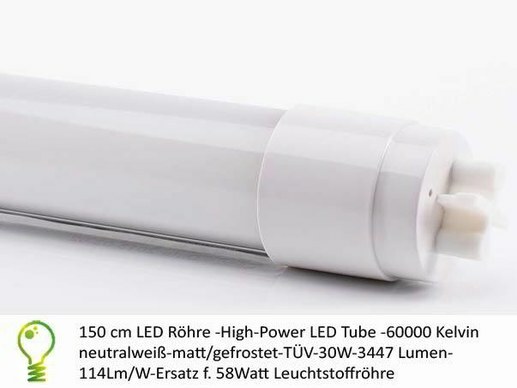 This 1500mm LED tube in a frosted embodiment with 6000 Kelvin color temperature (daylight white) is our current lumen output star. It creates a luminous flux of 3447 lumen and an impressive 114lumen/watt light output. 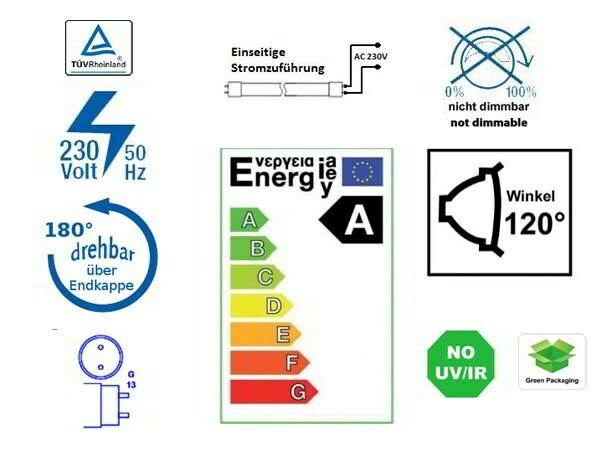 With a very energy-efficient power consumption of 30.1 watts only. We also offer an alternative version with a clear tube body. This 1500mm LED tube in a frosted embodiment with 6000 Kelvin color temperature (daylight white) is our current lumen output star. 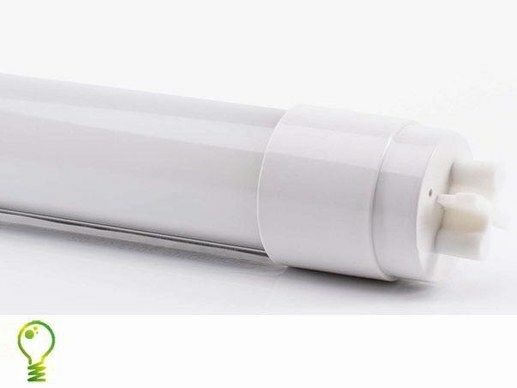 It creates a luminous flux of 3447 lumen and an impressive 114lumen/watt light output. With a very energy-efficient power consumption of 30.3 watts only. We also offer an alternative version with a clear tube body. Very reliable model. With this model we do not have any complaints or returns. It is very reliable even in the 24 x7 ongoing use. Clear or frosted LED embodiment? 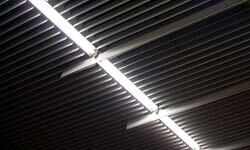 You want to replace your existing lighting system in a energy-efficient way? Feel free to get in contact personally. You can contact us through telephone 0049-221-9924573 during our business hours. You can also send us an e-mail through our contact or get in contact through fax. We will respond personally.